This Super B Battery is the go to battery of Motorsport Professionals the world over. Sale $199.90 MSRP $349.99 Free Shipping If you want the best in Lithium battery technology then you want a Super B Battery. Lightweight Lithium Ion starter battery, 0.992 lb / 450 gm, specially developed for motorcycles, jet skis, snowmobiles, ATVs and quads up to 450cc. This Super B Battery is the go to battery of Motorsport Professionals the world over. 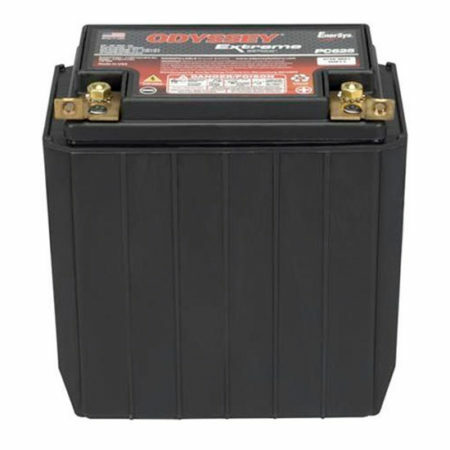 This Super B 2600 Battery is perfect for your motorcycle, jet ski, snowmobile, ATV or other recreational vehicles up to 450cc. Though this Super B 2600 Battery has more capacity then a traditional lead acid or AGM battery it should not be pushed hard (continuous high output drain to avoid thermal runaway) – this is strictly a high quality competition ready super light weight lithium starting battery. Already imbraced in the racing world with organizations like the AMA, CORCS, RMEC, ECEA to name a few. If you want the best in Lithium battery technology then you want a Super B Battery. Super B batteries are based on Lithium Iron Phosphate technology (LiFePO4); the safest Lithium Battery currently available. These Lithium Ion Batteries weighing up to 80% less than conventional lead acid batteries, and take less than 1/2 the space. Super B makes one Awesome Lithium Battery! Benefits like Long service life and Low self discharge, make this Lithium Battery perfect for numerous applications. Super B makes one Awesome Lithium Battery! Benefits like Long service life and Low self discharge, make this Lithium Battery perfect for numerous applications. Wheel Chairs – Mobility carts – riding Kids Toys – Scooters. This newly developed Lithium battery is designed to replace the much heavier 20 to 35 Ah lead acid battery. Pete says the Super B Green Top – Lithium Iron Traction battery is designed for heavy cycle use “deep cycle applications) We are talking 2000 to 4000 charge/discharge cycles here. This lithium battery has a very low self discharge rate – 10% annually – Not Monthly! Power that will keep you going and going. Fastest recharge time found in any lithium battery – Fully Charged in 60 Minutes! The F.I.M. modified the regulations for stock racing regarding battery use. Article 2.7.9.5 Battery: The Battery may be replaced. If replaced, its nominal capacity must be equal to or higher than the Homologated type. The F.I.M. has approved the super B battery for use as replacement battery. Be the first to review “Super B Battery (LiFePO4) SB12V2600P-AC” Click here to cancel reply.